Italian architect Stefano Boeri has unveiled plans for a city near China’s Liuzhou, featuring towers completely covered in trees and plants to combat air pollution. 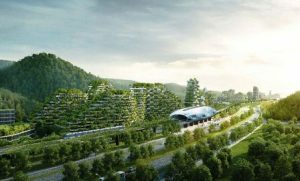 The Liuzhou Forest City will feature nearly 40,000 trees and almost one million plants, comprising 100 different species. The greenery is designed to trail over balconies and the roofs of a series of skyscrapers spanning 175 hectares along the Liujiang river, in the mountainous area of Guangxi. Following on from Boeri’s past trials of “vertical forests” in Milan and in Lausanne, the masterplan forms part the architect’s Forest City concept, which will see cities made up of plant-covered skyscrapers rolled out across China’s urban areas as a way to offset urban pollution. The architect’s studio Stefano Boeri Architetti has also proposed a similar design for city in Shijiazhuang, while its pair of plant-covered skyscrapers recently broke ground in the centre of Nanjing. 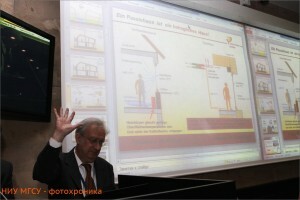 [Darmstadt/Munich, Germany] The 22nd Passive House Conference in Munich came to an end on Saturday. 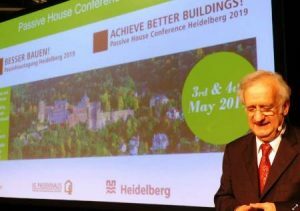 The next International Passive House Conference is to be held in China.and following tradition, Professor Wolfgang Feist announced the venue for the following conference. 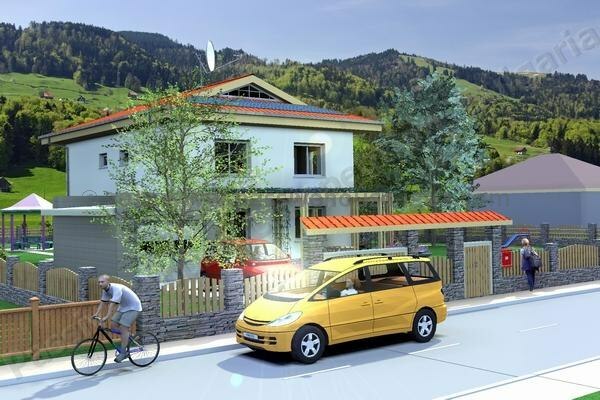 Energy efficient construction and retrofitting experts will convene in the Chinese city of Gaobeidian next year. This will be the first time that the renowned Conference will be held outside of Europe. Photo: © LANG consulting. The first certified Passive House office tower. High levels of energy efficiency are all the more important when it comes to high-rise buildings. 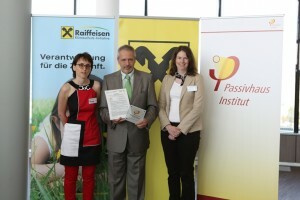 For the first time ever, an office tower in Vienna has achieved the Passive House Standard. The certificate was presented by Susanne Theumer of the Passive House Institute on the 20th floor of the building with a prime view of the old city. The glazed facade of the building on the bank of the Donaukanal (“Danube Canal”) rises almost 80 metres high. The building, characterised by superior indoor air quality and minimal energy consumption, is home to 900 employees of the Austrian Raiffeisen-Holding Group. 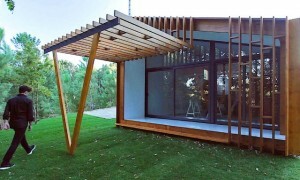 Here are the second five of the ten green building megatrends. Note that these are not necessarily in order of current or future importance! Part one was posted on November 29, 2016. The discussion is taken from my latest book, Reinventing Green Building (New Society Publishers, 2016). 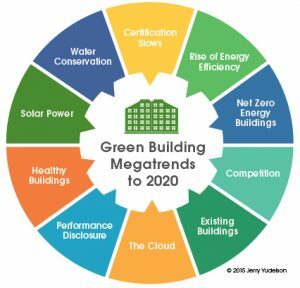 In 2016 book, Reinventing Green Building, Jerry Yudelson identified 10 megatrends that he believes will shape green building technologies, markets, government rules and certification systems through 2020 and beyond. And, by the way, Jerry Yudelson doesn’t think that the election of Donald Trump will in any way disrupt these trends! Prof. Wolfgang Feist: Science is outside of politics! Photo: NRU MSUCE (Moscow, Russia). September 8, 2016: International Forum was opened by the rector of the NRU MSUCE Alexander Volkov, presenting the report “System engineering of effective building management.” Andrey Anatolyevich emphasized that this theme – innovation, on which the conceptual base is formed just now. Rector noted that today we can be proud of the achievements that are made in this field on the basis of the NRU MSUCE this direction and he does personally.